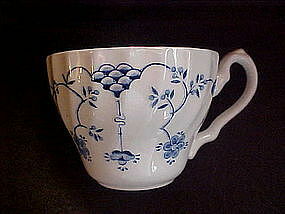 Cups in the blue onion pattern by Churchill England, These have the swirl shape. I have 6 available and all are in perfect condition. Price is for each cup.